If you’ve ever seen a Netflix movie in a theater, there’s a bit of cognitive dissonance that occurs when the big red N pops up on screen. You don’t belong there, big red N. You belong on the third generation hand-me-down TV in my living room. 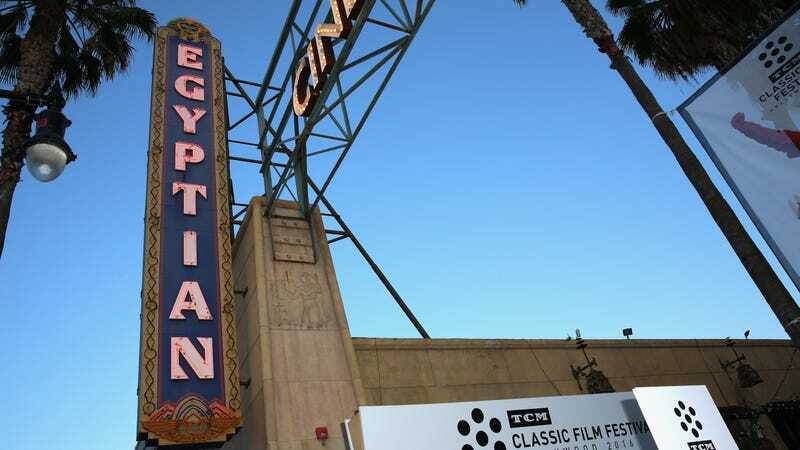 Okay, now imagine that feeling of cognitive dissonance amplified by about 100, and you’ll get this report from Deadline, which reveals that Netflix is in talks to purchase the historic Egyptian Theatre in Hollywood. In what can only be described as a power move, Netflix is in discussions with American Cinematheque to buy the theatre for somewhere in the ballpark of “tens of millions of dollars,” or the equivalent of 20 to 25 Netflix Originals, give or take a Gyllenhaal. If the deal goes through, Netflix will have purchased its very first movie theater, and not just any old theater, but one with actual history. Sid Grauman built the Egyptian Theatre, which hosted the very first movie premiere (Robin Hood) in Hollywood all the way back in 1922. Netflix’s purchase is said to an effort to help preserve this iconic Hollywood landmark, though it will undoubtedly help to legitimize the streaming giant in its ongoing efforts to be taken more seriously in the film community. The tentative plan would see Netflix hosting its own movie screenings on weeknights, while the American Cinematheque programs screenings, festivals, and various events on weekends–completely separate from Netflix. It’s basically like one of those multi-use condo developments, but for movies. Netflix is the fro-yo shop and yoga studio on the bottom, or like that one weird iPhone screen repair store that somehow stays in business when everything else around it closes.